Jupiter, the largest planet of the Solar System, which could have been a star, can be responsible for providing water to the Earth, according to recent research. Everything is due to its powerful gravitation. More specifically, ice-rich asteroids and planetesimals, which orbited around the gas giants, could be directed to our planet through gravitational interactions. Undoubtedly, asteroids flying towards Earth are dangerous for any form of life. Dinosaurs know something about this. In times when Earth was a young and uninhabited planet the situation was completely different. Cosmic rocks provided the planet with priceless hydrogen, which then penetrated the crust and the Earth's mantle to bind itself to oxygen and eventually lead to the formation of water. Water that allowed life to develop, which after some time resulted in the evolution of us – humans. 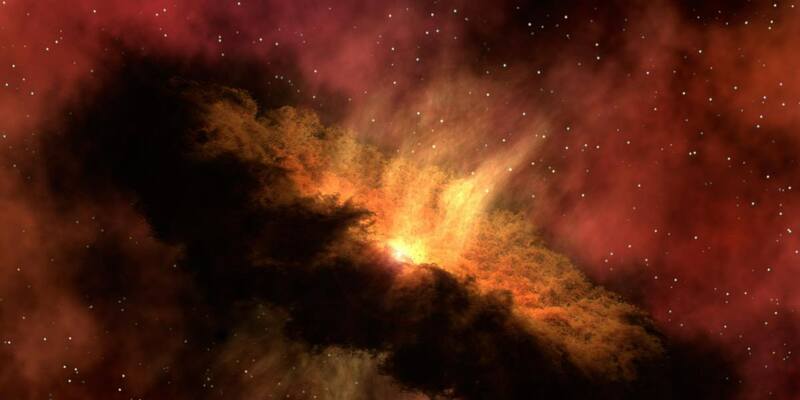 Now we know that about 4.5 billion years ago, when the Sun was created, a cloud of gas and dust left over from the formation of the star formed planets. For millions of years, the cloud has been influencing the movement of emerging planets and elemental rocks. In addition, rising temperatures meant that hydrogen, which is the building element of water, was trapped in the ice in the cooler regions of the Solar System, far beyond the reach of the Earth, in the so-called "frost line". According to one of the hypotheses concerning the formation of planets, in front of the frost line the radiation of the star sweeps away a large part of the gaseous substances and in this area rocky planets are formed. The models of the early Solar System developed in recent years have proved that the gas giants had come a long way before they found their way in the places we now know. The Nice model presented in 2005 assumes that the Solar System was initially much smaller. Uranus and Neptune were much closer to the Sun, and after some time the planets migrated to orbits more distant from the star. Scientists suggest that this journey led to the Great Bombarding, which took place about 600 million years after the creation of the Solar System. Thrown off balance, the rocks from far, cold corners of the system bombarded all the inner planets. It is suggested that the phenomenon, which lasted about 200 million years, is responsible for about 1700 lunar craters with diameters over 20 km. However, that is not all. Saturn and Jupiter most probably went on a journey towards the inner Solar System, crossing the young asteroid belt on their way to return to its outer regions. The unbalanced asteroids often ended their journey hitting the young Earth. This model is known as the "Grand Track" and was developed in 2008. However, scientists were unable to determine exactly how Jupiter was responsible for the formation of water on our planet. Only now has a new model been developed that provides answers to this question. In the new model, as the gas giant grows, its growing gravity destabilizes the nearby protoplanets. 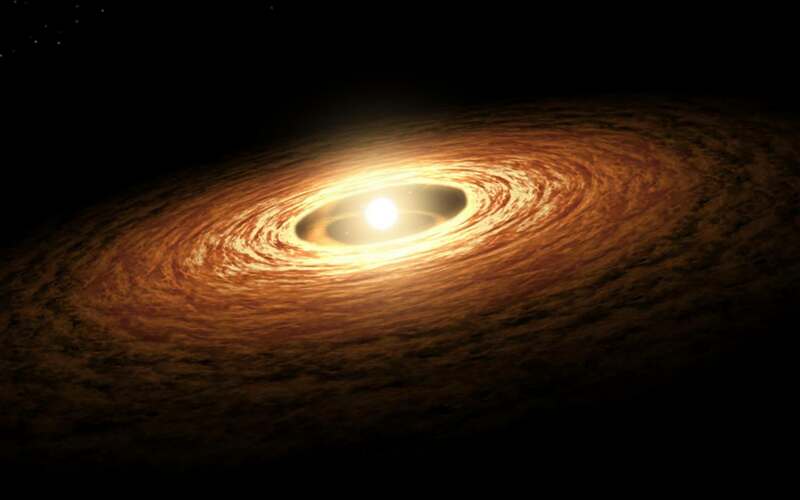 In addition, the presence of the remaining nebular gas influences how the particles pass through the Solar System, sending some of them towards the internal Solar System. Some of this material was trapped in the asteroid belt, filling it with carbon-rich asteroids, the water content of which is high. Initially, carbon-rich asteroids were believed to be scattered over a region that ranged from 5 to 20 times the distance from Earth. In short, the presence of water on Earth is a consequence of the growth of Saturn and Jupiter, as well as Neptune and Uranus, and their great gravity and migration through the Solar System, which led to bombardments and the supply of valuable elements to our planet.